Things are starting up again. 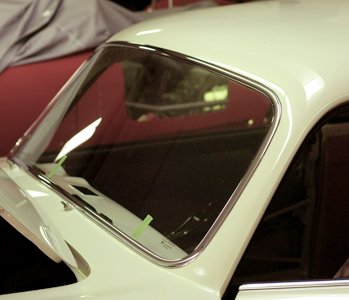 The windshield is in, and unlike the later cars, there is no rubber used. Kind of screwed in. And the dash is in as well. Switches are getting tied to the wiring harness. 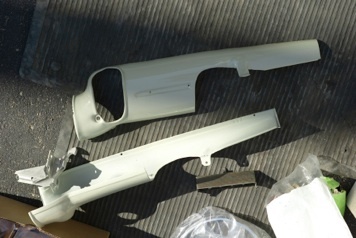 A lot of parts have come down from the body shop, where they were painted or coated – the gas tank, radiator, the chrome and little bits here and there. 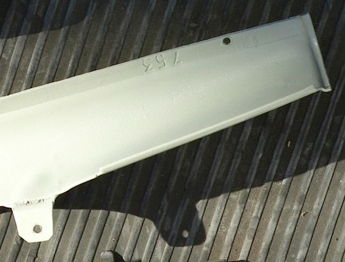 Door latches can be installed, handles, and final light assemblies. But there are a lot of bits, and its all a bit scary, as you can see what might be missing or not quite right…. 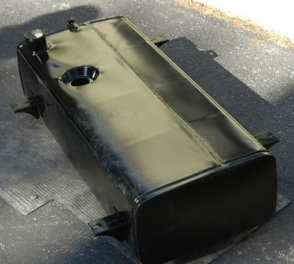 The gas tank is sealed and painted. 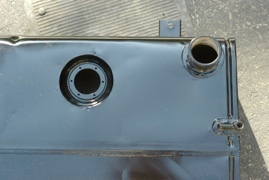 Notice the weld seam on the top, and the mounting for the sending unit on the top. 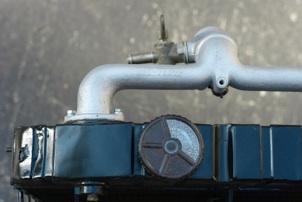 Looks like a gas tank too, rectangular and simple. The radiator is done, and the Y looks good, as does the old Bakelite cap. 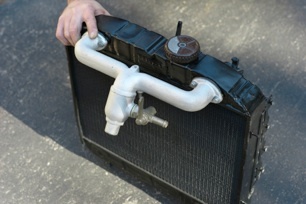 Notice the Aurelia heater valve, turned on or off under the bonnet, not from within the car! Finally, there are the two shrouds that cover the steering column. 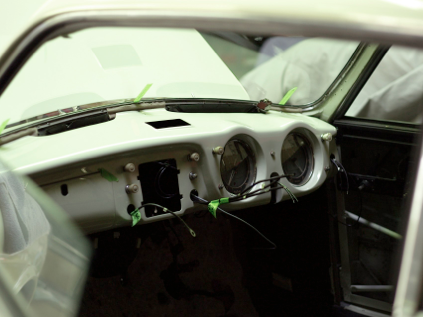 Like all the interior panels, they are number stamped to the car.